Like the power unit, the trailers are a great start but will need a fair bit of finishing to complete. First up, I’ll have to wash the bodies to remove the waxes used in the printing process, glue the roofs in place, then spray everything with an automotive filler/primer so that I can see what work needs to be done. I’ll also need to cut some floors for the two trailers. Meantime, I’ve ordered NWSL wheels and bearings for the 6′-6″ truck kits I picked up from William Flatt. I continue to gather the parts I need for this project, but once I have what I need I suspect the assembly will go quite quickly. On Thursday, I was fortunate to entertain Steve Lucas, a modeller from Ingersol, Ontario who also happens to make his living on the rails as a locomotive engineer. It’s always interesting to see how those who work on the real railways react to my little slice of the long gone Simcoe Sub. As such, I’ve wanted to have Steve over for a while to show him the layout – and this week, work and other commitments allowed us to do just that. Steve and I enjoyed a leisurely lunch at Harbord House, then worked a freight extra along the line. Steve opted to wear the conductor’s hat, and took the opportunity to give me some lessons on switching using hand signals. Steve did NOT wear a jaunty conductor’s uniform or sport a handlebar moustache like the gentleman in the lead image – and the signals were not quite what’s illustrated either. Instead, a lot of our discussion was about the hand signals used to convey distances (e.g. “Six cars”… “Four cars”… and so on). I only remember a few of these, as it was a lot to take in, but I certainly appreciated how elegant they were to use while switching. Steve and I also talked about sight lines from engineer to brakeman – important because if the engineer cannot see the brakeman he’s required to stop moving. And I learned that one reason all the prototype photos at Port Rowan show the locomotive facing westbound (towards the end of track) is that this would allow the engineer to switch the sidings without having to look over his shoulder – a consideration that had never occurred to me. So, lessons big and little. I have that much more to think about, and more information to make my layout come alive. Thanks Steve: We’ll do this again when our schedules allow! Saturday night, I was the guest speaker at the banquet for Algonquin Turn 2016 – the convention for members of the Niagara Frontier Region NMRA. This was held in Ottawa – a place I lived for much of the 1990s – and it was great to reconnect with a number of fellow hobbyists that I hadn’t seen in many years. Ottawa is only 4.5-5 hours away by highway, but it seems like another world sometimes, and I haven’t been to the nation’s capital in many years. When I was asked to speak, I spent a lot of time thinking about what to say. A banquet speech needs to be special. I wasn’t going to stand in front of the crowd and give a how-to clinic, and I certainly didn’t want to make it “all about me” (and boy am I glad that I did not, as I’ll relate*). Fortunately, I have done many things in this hobby. I have worked in several scale/gauge combinations, attended conventions, operations weekends, RPM meets, narrow gauge gatherings, SIG events, train shows, exhibitions in which trains are displayed to the general public, and more. I’ve given speeches, written articles, produced and co-hosted a podcast, and been both a guest and a host on TrainMasters TV. And, of course, I’ve blogged. But most of all, because of this exposure, I’ve had brilliant conversations with many, many people about our hobby. That includes people who have been railway modelling enthusiasts for decades… those who have just started… and those who have never heard of the hobby. And one thing that I’ve learned is that for many of us in the hobby, this is more than a way to kill some time. It’s been a lifelong journey of friendships and learning. 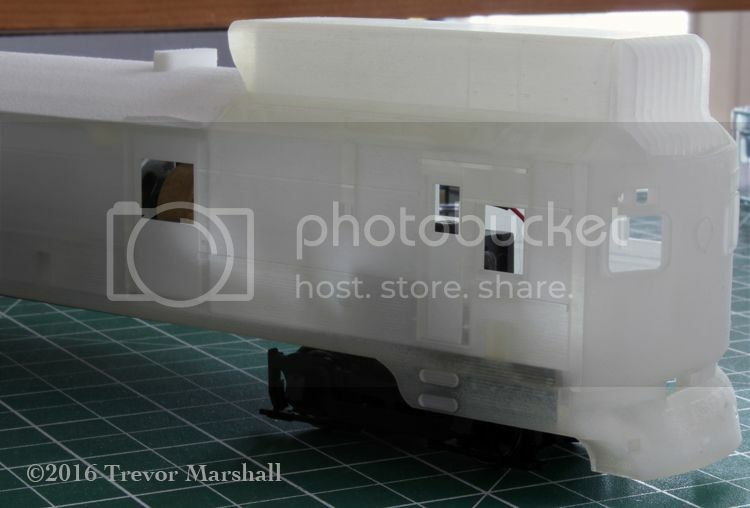 We love this hobby – and many of us wonder how we encourage more people to join us as railway modelling enthusiasts. In particular, we wonder how we’re going to reach young people. 6 – I’ve run into many examples in our hobby where our interests, and those of The Makers – overlap. So we’re not as far apart as we think. 11 – We can’t do this if we’re preaching to younger people, because that will just drive them away. To encourage more people to join our hobby, we need to do more listening – to find out what fires a person’s interests, and then relate that to what we do. We enjoy a hobby unlike any other in terms of the depth and breadth of what can be done in it. No matter what a person says they’re interested in, I am confident we can find examples in our hobby to which they can relate. But we have to know what they like, first – and I’m as guilty of that as anyone else. I hope I left the banquet attendees – about 80 people, I’m told – with some useful information and some ideas for further discussions. If you were in the room, thanks for letting me speak – and do share your thoughts on this via the comments section on this post (or start your own blog! ), because it would be great to hear from you. I also treated myself to a nice room overnight – at the Chateau Laurier. This is one of Canada’s legendary “Railway Hotels”. Originally owned by Canadian Pacific, they are located in major cities, near the station (or, as is the case in Ottawa, where the station used to be). I always enjoy the rooms and the lobbies, which are from a different era. And the Sunday morning brunch was a terrific way to start my journey home. *On a technical note, I had a moment of panic when my PowerPoint presentation refused to launch on the NMRA’s laptop. In the end, I gave my speech without the support of pretty pictures. Fortunately, I was delivering a philosophical talk – a subject that does not rely upon visuals. My next step will be to wash the shell, then apply a coat of primer. I’m finding that the translucent material in which it’s printed is almost impossible to see properly, because of how light passes through it and reflects about. I certainly can’t do any work on detailing the shell until I can see the thing. A coat of primer will – I hope – smooth the already mostly-smooth finish on the print. If not, it will show me where I have to sand.